Its a quiet fan that moves a good amount of air, not much else to say here. Incredibly silent, even on higher RPM. 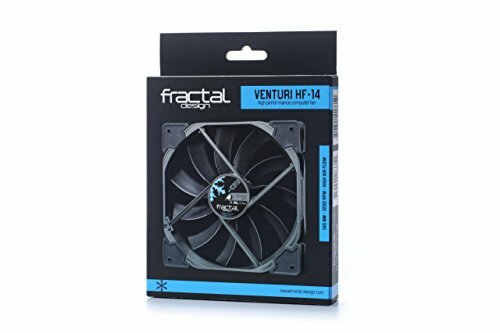 I used this as my exhaust since it has a higher airflow rate than my other fractal design fans. I have to say, the rubber mounts really do make a difference, and investing a little more in fans is well worth it if you don't enjoy a noisy PC. The cable has a nice plastic woven sheath and is overall a very high build quality. from completed build Something with bit more oomph! Replaced the original fans. For silence and looks. 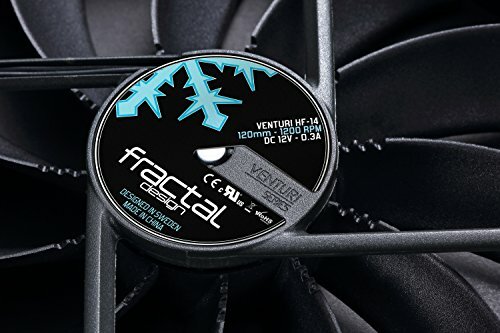 Really good fans, sound like a plane turbine when full but either controlling them or using the voltage regulator that comes with them decrease the sound a lot and still provide a good air flow to the case. Quiet, Black, Cool. Very nice fans that come with a low power adapter should you never want them spinning to high. I left that out and put them on the top side of my case. They are connected to a fan hub with the 2 other case fans and spin up and down off a pwm cpufan port on the Motherboard. They never spin up enough to hear though. Also had these fans for a couple of years, they can move some air. Using them as top exhaust fans. These fans are awesome! It's like a wind tunnel in there! Not very quiet fans but I'll be saving for a pair of headphones so it doesn't matter. SO MUCH BETTER than the stock case fans included with the Nano S. I bought one at first to see if I liked it, and once my wallet recovers a bit I will probably swap out the other case fans for their corresponding Venturi models. Another protip: the Asus Z270I only has 3 fan headers (CPU, chassis, and dedicated AIO pump), so while the two front case fans are connected to the chassis header with the Nano S's included fan splitter, I used the low RPM adapter that came with this fan to connect the back case fan to the AIO header so it doesn't spin crazy fast. Saves a few bucks on buying a dedicated fan hub.